In Home Personal Trainer Philadelphia Dr. Phil Nicolaou, offers the following tips on how to avoid overtraining with optimal muscle recovery! Studies show that between 7-20% of all elite athletes exhibit symptoms of overtraining. I suspect that the general fitness population would be even higher due to the fact that many unsupervised people, who are struggling to lose weight, lose fat, or just “firm and tone-up” suffer from Overtraining. While they may not train as long and as hard as an elite athlete, they are training far too hard and long for their current level of conditioning. Courtesy of the IFPA and Philadelphia In home Personal Trainer, Phil Nicolaou, lets see how to make you less sore! In order for you to make consistent fitness gains, requires you to train at the optimal levels of Frequency, Intensity, Time and Type (FITT Principal). This level of F.I.T.T. must be attained without entering Overtraining. Dr. Tudor Bompa defines overtraining as a long-term decrement in performance capacity that occurs as a result of an accumulation of training and non-training stressors. Non-training stressors are anything that causes stress outside of your training activities: Financial, Personal, Career, Social, Intellectual, and Emotional stressors. Getting fired, getting divorced, losing your home, and death of a loved one are all stressors that can lead to high levels of stress hormones that can damage your body and reduce your physical, mental, and emotional performance. While there is still a debate on specific signs or symptoms of overtraining, some of the commonly accepted signs are: Resting Heart Rate (RHR) Increase, Length and Quality of Sleep decreases, Sensation of Tiredness increases, Motivation to Train decreases, Appetite decreases, General Motivation (for all activities) decreases, Muscle Soreness increases, maladaptation, such as alternations or disturbances in neural function, including motor unit recruitment increases causing loss of athletic control of form and technique. Detrimental changes in hormonal control causes a decrease in anabolic hormones and increase in catabolic hormones causing a decrease in athletic performance and related IFPA Components of Fitness. In relationship to the S.A.I.D. Principle: Specific Adaptation to Imposed Demands, the overtraining will be specific to the Component of Fitness being overtrained. For example: Overtraining Strength will lead to decrease in Strength Performance, unfortunately, due to overtraining’s negative impact of the endocrine system, the athlete will observe decreases in performance in virtually ALL 12 IFPA Components of Fitness which can be executed by In Home Personal Trainer Philadelphia Phil Nicolaou. Other symptoms of overtraining include: decreases in excitation- contraction coupling, muscle glycogen stores, immunity function, and mood, along with increases in heart rate and blood pressure. While a relatively short amount of time may be needed for an athlete to recover from overreaching, the overtraining can take several weeks to months, or even longer if the athletes’ overtraining leads to serious injury. How do you avoid overtraining and overreaching? You learn in Management Science that “what gets evaluated, gets managed.” Therefore, the very first thing you should learn to do is to keep a Training Log, that not only monitors your daily exercise activities: Exercises, Sets, Reps, Time, Load, etc., but it must also monitor your RHR, Energy Level, Motivation, Nutrition Analysis, to include Food Item/Quantity (grams of Protein, Fat and Carbs), Total Calories, Caloric Balance and more. If you have been using the IFPA Training and Documentation Logs, I hope you are using these and the other valuable tools to optimize your training. While many people appear to sleep 5-10 hours per night, longevity research shows your lifespan is optimized if you sleep 7-8 hours a night. However, Sports Medicine research shows that athletes should sleep 9-10 hrs/day. 80-90% of the sleep should be at night with the remaining 10-20% of the sleep being made of “Power Naps” lasting 10-15 minutes. Power Naps appear to improve alertness and performance without stimulating sleep inertia, which is a period of post-sleep performance impairment. Although longer naps (>30 min) also have great restorative potential, these have greater occurrence of sleep inertia. Massage: has been used for athletic recovery for thousands of years. Thermotherapy: Warm Water Immersion (WWI), saunas, steam baths, warm whirlpools, hydro collator (hot) pack, paraffin baths and infrared lamps. Cryotherapy: Cold Water Immersion (CWI) or ice baths, ice massage or ice packs are used to treat acute traumatic injury and facilitate post-exercise or competition recovery. Cold-Suits are now being worn during exercise to increase athletic performance. 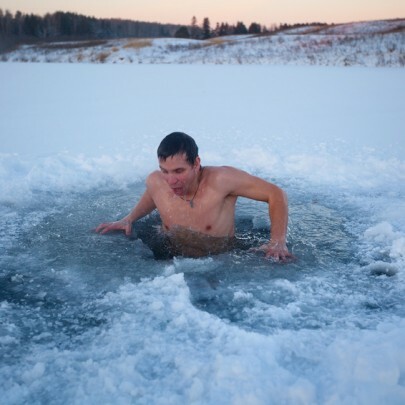 Contrast Therapy: the alternating use of Thermotherapy (heat) and Cryotherapy (cold). Personally, I am a big fan of Contrast Therapy due to its many benefits far beyond the effectiveness shown for athletic Recovery. In regard to Evidence Based Medical Research, Contrast Baths has been shown to have an astronomic increase to subjects’ immune systems, demonstrating increases above 18,000%. An 18,000% improvment in your immune system translates to you being nearly immune to most diseases! Imagine, no more Colds or Flu! There is still debate about Frequency, Intensity, and Time for Contrast Therapy, but I will provide you what seems most convenient and effective at present for Contrast Baths. Ratio: 4:1 or 3:1 (Hot:Cold) so you spend 3-4 minutes in Hot Water/1 minute in Cold Water. Therefore, you will alternate between hot and cold 4 or 5 times. Always ending in Cold Water. Contrast Baths provide benefits to virtually every physiology system of your body. It also provides numerous psychological benefits. Some of these benefits as they relate to Recovery are: increased blood flow, cardiac output, diffusion gradient that stimulates an increase in the rate of substrate delivery and waste clearance including lactate clearance. Contrast Baths have also shown a decrease in edema, which results from exercise and increases with the level of muscle damage. Edema reduces oxygen transport to the muscles and increases the transport route of blood. Excessive edema can result in cellular damage. Water immersion, up to the neck, has been shown to reduce muscle damage and increase recovery. It also has been shown to reduce Delayed-Onset Muscle Soreness (DOMS) and improve contractile function. May stimulate short-term recovery of muscle function and dampen muscle soreness. Unfortunately, the repeated use of NSAIDs may inhibit the muscles’ ability to repair and adapt to training stimulus, ultimately decreasing the athlete’s training induced performance gains. Large doses of NSAIDs not only slow your bodies healing process, but can reduce muscular hypertrophy by decreasing your cells’ production of myofibrillar proteins (Actin and Myosin). Allow In Home Personal Trainer Philadelphia, Dr. Phil Nicolaou to help you! Need more recovery tips? contact In Home Personal Trainer Philadelphia, Phil Nicolaou.